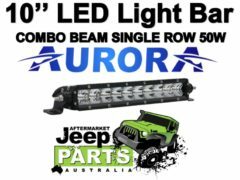 Suitable to mount any LED Light Bar with end mounting abilities. 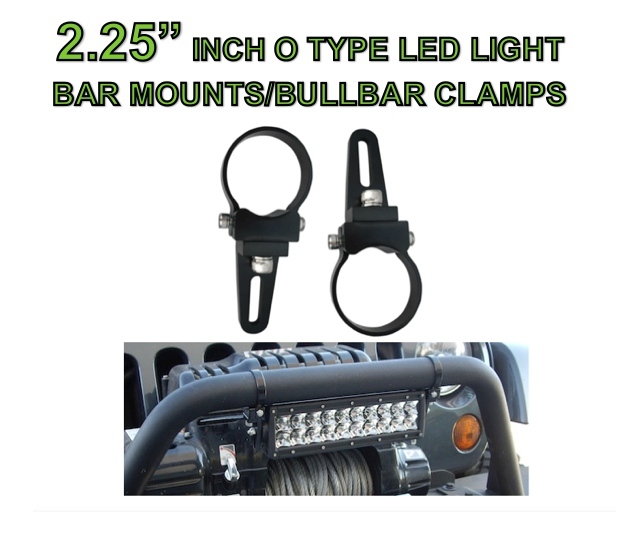 Advantage of These stylish, Versatile and Solid Light Bar Clamps. • HIGH QUALITY AURORA BRANDED PRODUCT UNLIKE IMITATIONS. • Designed for 2.25 Inch Diameter BullBar or Tube. • Stainless Steel Allen Key Bolts. • Slot length approx. 34mm. • Slot width approx. 8.0mm. 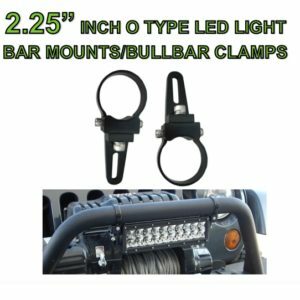 • No cutting or drilling required, mounts directly to your bullbar Hoop/Tube. • Fits ANY Vehicle or Application with 2.25″ inch diameter Tube. Be the first to review “2 x 2.25″ INCH O TYPE LED LIGHT BAR MOUNT BULLBAR BRACKET CLAMP AURORA RIGID” Click here to cancel reply. 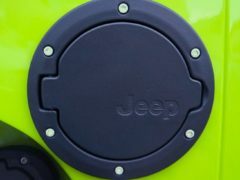 Mopar Jeep Fuel Filler Cap/door Black for 07+ JK Wrangler. 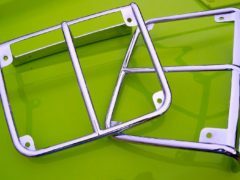 Tail Light Guards MOPAR OEM CHROME for 07-14 Jeep..